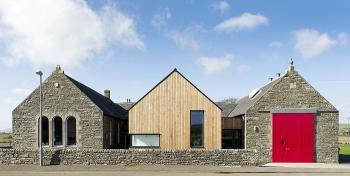 North Lands Creative is a unique studio organisation and gallery in Lybster, Caithness. Our focus is on contemporary glass and we have a national importance in developing glass in the UK. Through the Alastair Pilkington Studio and gallery, North Lands Creative facilitates and supports professional artists to make new art work. It also offers a highly visible and accessible programme of talks, events and education activities around the studio and gallery that engages visitors with artists and art-making. 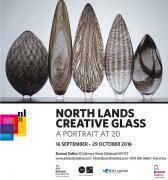 In 2017 North Lands Creative Glass became North Land Creative after an extensive review looking to the future. The Board of North Lands Creative Glass is delighted to announce the appointment of Jeffrey Sarmiento as Artistic Director from 1 October 2016. He will succeed Emma Woffenden on the completion of her inspiring three-year term of office, culminating in North Lands 20, the anniversary celebration of its first master class and conference in 1996.